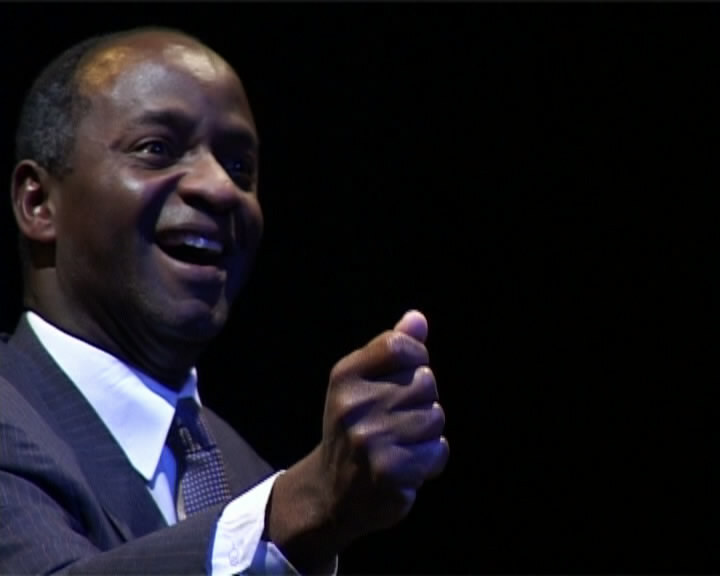 When Tayo Aluko premiered Call Mr Robeson at the Edinburgh Fringe in August 2007, a reviewer complained that he lacked the presence and bass voice to do Paul Robeson justice. This was a bit like accusing a high mountain of not doing justice to Everest, but it also missed the point entirely. Despite his extraordinary life, Robeson is largely forgotten, and Aluko does humanity a great service by resurrecting the memory. Accompanied by pianist Michael Conliffe, Aluko’s Robeson roams about the minimal set, addressing the audience directly like some amazing raconteur with more than a few stories to tell. Occasionally he re-enacts key moments from his life, such as his 1961 suicide attempt (which was possibly caused by a CIA agent spiking his drink), climbs onto his soapbox to deliver speeches, and sings such songs as Joshua Fit the Battle of Jericho, Trees, and Joe Hill (in honour of the Industrial Workers of the World organiser and songwriter who was framed and legally murdered by the state of Utah). Particularly evocative and stirring was the defiant rendition of Ol’ Man River, above sounds representing a police helicopter at anti-communist riots in 1949. More than a few eyes grew misty. 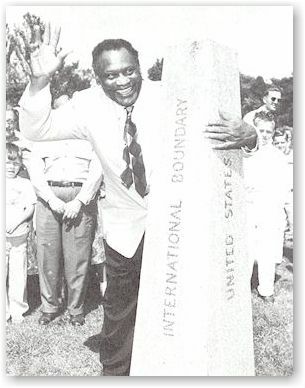 In my opinion, it is precisely Robeson’s unstinting and often self-sacrificing devotion to the working class of all nations which has so far excluded him from the widespread appreciation his story clearly merits. Tayo Aluko puts in a powerful, passionate performance, bringing Robeson to people who never had the chance to see him perform, and no doubt some who have never even heard of him before. To witness this in St George’s Hall – that monument to the British Empire – was a strange but nevertheless inspiring experience. Tayo Aluko richly deserved the standing ovation he received at the end, but I’m sure he wouldn’t begrudge Mr Robeson his share of the acclaim. Click here to view an extract of a performance at Liverpool Community College. This entry was posted in IWW, Paul Robeson, St George's Hall, Tayo Aluko on October 5, 2008 by adamford145.